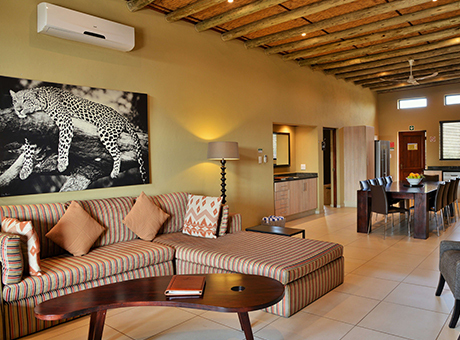 Mjejane is bushveld accommodation at its finest. 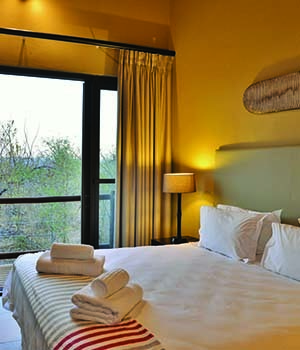 Mjejane Bush Camp offers a range of exquisite accommodation options for discerning lovers of the African bushveld. 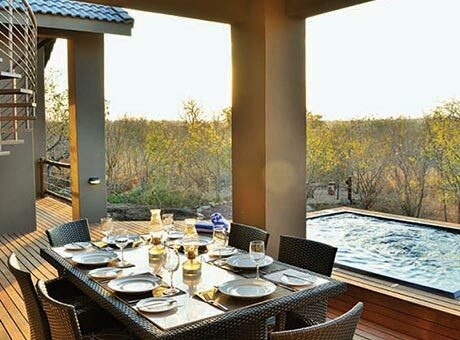 Fenced within South Africa’s world- famous Kruger National Park (KNP), Mjejane Bush Camp sits at the heart of one of the most exciting, vibrant and authentic game reserves along the Park’s southern border. The reserve forms part of a recently settled land-claim from the Lugedlane community who benefit from the sale of properties, the building of lodges and the overall tourism economy, including skills transfer, training as game rangers and providing key services in support of the maintenance and operations of the reserve. It is a partnership that forever guarantees the integrity of your property investment, the preservation of the environment and the upliftment of the surrounding community. Mjejane Game Reserve – fenced into Kruger, situated on the banks of the Crocodile River where lush riverine forest is home to a stunning variety of birdlife, green pigeons fluttering among leaves in search of wild fruit, the haunting cry of the fish eagle and the scarlet flash of a purple-crested lourie in flight. 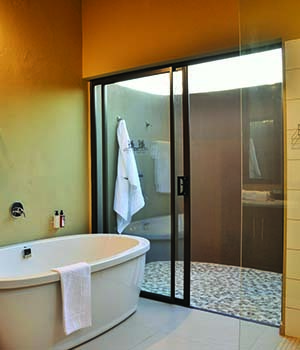 The 4,000 hectare reserve is fenced within the Kruger National Park fence and borders the southern boundary of the Park. Mjejane comprises unspoiled indigenous bush with over 10km of river frontage and the area is renowned for its superb game viewing. The riverine forest is home to the elusive leopard and elephant breeding herds that frequent the area. 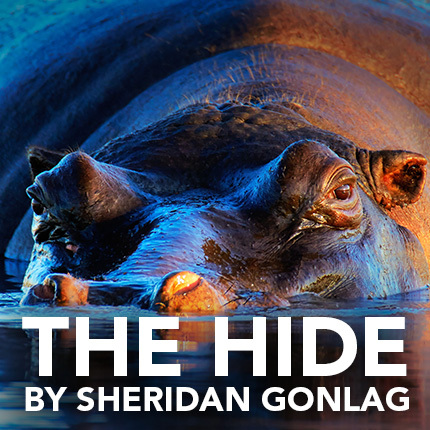 Imagine waking up to the sound of a hippo only a few metres from your luxury bedroom deck or watching herds of up to 500 buffalo and prowling predators shadowing the herd. Mjejane, an inheritance for future generations. Recognising the need to protect the physical and spiritual resources of this magnificent tract of land, Chief Lugedlane has ensured its preservation for future generations. Today his vision is reality, and together with the Mjejane community, we are the caretakers of his legacy. 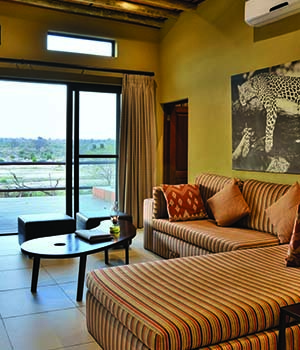 The Mjejane community is proud to invite you to share in this part of untouched African splendour as a shared owner of one of the best Kruger Park Lodges. Whether you are a big group requiring expansive lodgings or a couple looking for your own romantic enclave – Mjejani Bush Camp provides the chance to own a piece of untouched African splendour. We'd like to invite you to discover more about Mjejane Bush Camp's ownership opportunities by providing us with your details below. 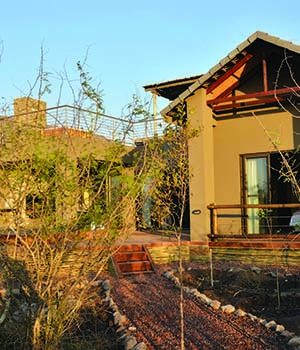 2 and 3 bedroom options offering up to 250m² of prime bushveld lodgings. 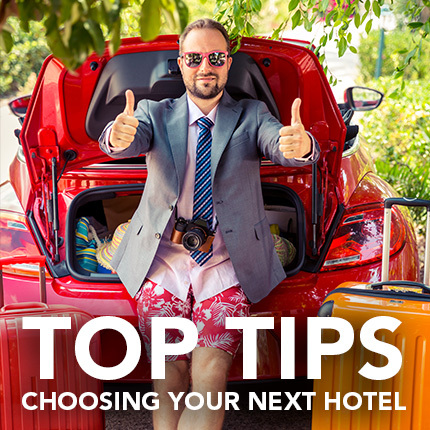 Loft bedrooms overlook the reserve while plunge pools, braai or bonfire lapa areas help set the scene for yet another perfect African sunset. 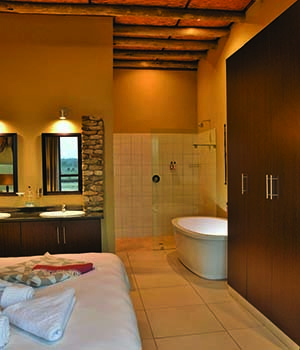 Couples and smaller families will love these 1 or 2 bedroom chalets, each with own plunge pool and bonfire area. 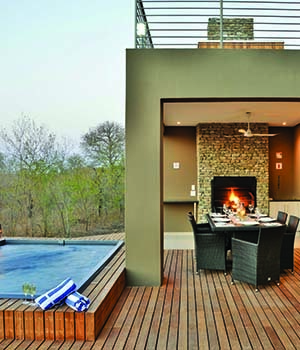 Our newly completed Chalet 31 offers a glimpse into the future, including a Jacuzzi and raised deck overlooking the Kruger. 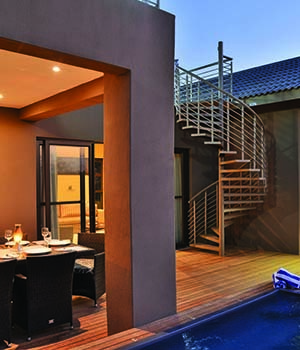 Over 280m² of incredible accommodation offering Crocodile River views, an open-plan lounge, dining room, fully equipped kitchen, large pool, pool-deck and outside braai facility, furnished to the highest standards. What a beautiful place. Our own piece of heaven for 2 weeks of the year! We had some wonderful sightings from our patio and the balcony – impala, zebra, blue wildebeest, kudu, bush buck, warthogs and giraffe. The cherry on the cake was seeing elephants and rhino walking by in the afternoon. We can’t wait for our visit next year! Thank you Mjejane for an amazing stay, so pleased it can now be an annual family get together. Another great week at unit 11, thanks to all at Mjejane for maing ourtime here so much more special. See you same time next year! We had such amazing sightings at Mjejane – elephants, rhino, waterbuck, warthogs, impala, bushbuck and buffalo. We had 3 elephants walk in front of our chalet – truly blessed to be in such an amazing place. Mpumulanga’s largest Land Claim was recently finalised with the handing over of the 24 million rand farm known as Ludwigslust to the Lugedlane community outside Mjejane (formerly Hectorspruit). The community are the original owners of the 3852 ha farm. The Lugedlane community was forcibly removed from the land between 1926 and 1953. After the land claim was settled, a solution on how best to utilize the land in line with the conservation objectives of the Kruger National Park was sought. This was in stark contrast to the initial intention of the community, being to utilize this property for housing purposes and some farming. However, the soil is relatively poor with limited water resources for agriculture, and little potential for cattle farming because of wildlife diseases such as Bovine TB, Foot & Mouth and Corridor because the property borders Kruger National Park. 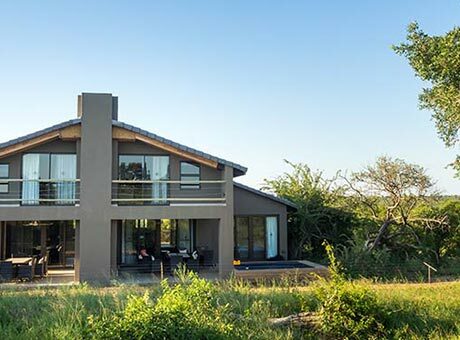 This has resulted in the creation of one of the most exciting new private game reserves and real estate investment opportunities adjoining the southern boundary of the Kruger National Park which hosts the famous “Big 5”. Mjejane Game Reserve stretches all the way from the N4 to the Kruger Park. The involvement of the local community will directly benefit from the sale of the stands and shared ownership. Furthermore the community is being included in the whole reserve from the building of the lodges, to game rangers, maintaining the pristine bush, assisting in the running of the wilderness area and cleaning staff. 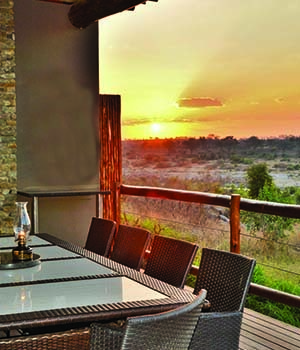 Experience true bushveld luxury at Mjejane Bush Camp on the banks of the Crocodile River. 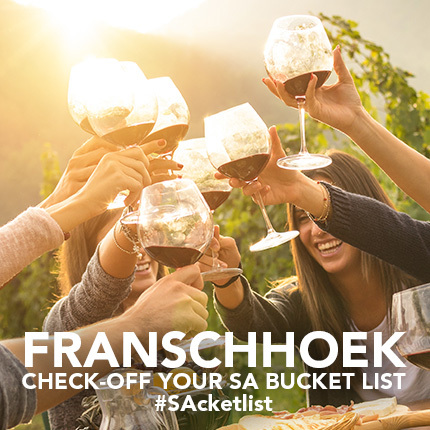 The 4,000 hectare reserve is enclosed within the Kruger National Park. The camp boasts unspoiled indigenous bush and over 10km of Crocodile River frontage – an area renowned for its superb game viewing. This is game reserve holidaying at its very best!